The Saratoga design at Water’s Edge has more than 3,300 square feet of living space. The design was created specifically for a series of water-view lots at San Juan Passage. 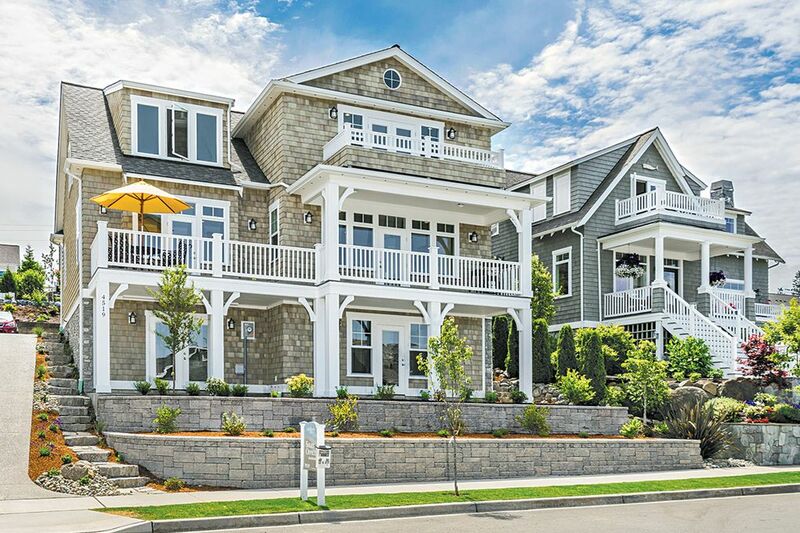 ANACORTES — A recently completed home in the Water’s Edge section of San Juan Passage is the ideal choice for anyone who dreams of living the coastal experience, according to Sandi Davidson, the community’s sales director. “What our residents love about Water’s Edge is that they can enjoy the outdoor recreation that life on Puget Sound affords, and still live minutes from a vibrant community with all of the conveniences they cherish,” she says. 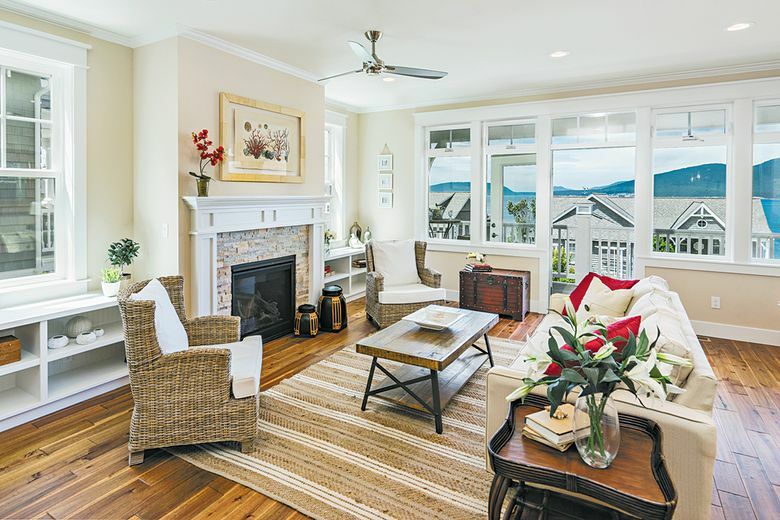 The home features the Saratoga design, which gets its name from the protected pass that runs between Whidbey and Camano islands and is the inside passage from Seattle to Deception Pass. Saratoga Passage has long been popular with boaters, crabbers, fishermen and beachcombers. “The new Saratoga plan captures that spirit of the coastal experience with both the casual elegance of the design and the thoughtful inclusion of space to store everything from kayaks to crab pots to paddleboards,” Davidson says. San Juan Passage currently has five Water’s Edge designs at various stages of construction. The Saratoga design was created specifically for a series of water-view lots at the northwestern perimeter of the community. Vistas over Guemes and Bellingham channels are always alive with private and commercial vessels, along with regular migrations of seals, dolphins, orcas and various seabirds. The home has more than 3,300 square feet of living space, including three bedrooms, two full baths, two half-baths and a special “garage” tucked under the home in which to house recreational toys. The lower level has its own entrance and includes a den area and half-bath, along with extra space that could accommodate a kitchenette. The home’s main level was designed to optimize the water views. An open kitchen-dining plan for entertaining leads to the light-filled living room with French doors opening to a water-facing deck. A main-floor master suite opens to its own view deck — ideal for a morning cup of coffee. A second floor offers two additional bedrooms, one with a view balcony that also serves as a master, as well as a large and airy bonus room. A virtual tour of the home is available by visiting goo.gl/uGaAQR. San Juan Passage currently has five Water’s Edge designs at various stages of construction, including the Saratoga, Davidson says. All homes on Cutter Drive enjoy a connection to the waterfront along pathways through nearby Overlook Park, one of four parks within the San Juan Passage community. From the waterfront, residents can access the Guemes Channel Trail, which follows the shoreline for approximately 1.5 miles toward downtown Anacortes.